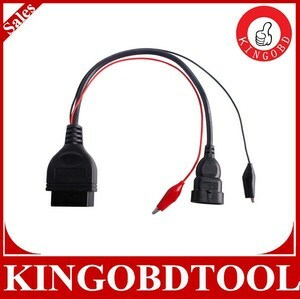 5 YRS Shenzhen Kingobd Electronic Tech Co., Ltd.
6 YRS Shenzhen Boyna Technology Co., Ltd.
3 YRS Shenzhen Xintengli Car Accessory Co., Ltd.
Q 2 : Can I have my own logo or company name to be printed on your products or the package9 A8: Yes. You can print your logo, company name on the products or package, the exact quantity is determined by the exact model. The carton size is depend on customers ' requests, or based on the most reasonable size. If you have any question, please feel free to contact us. While if you have your own freight forwarder, please let us know. If you have any request or question, please feel free to contact us. 2 YRS Shenzhen Autodiag Electronics Co., Ltd.
9 YRS Shenzhen Aotai Technology Co., Ltd.
-Rich experience and sourcing on mold design,develop. -Strictly quality control, maximizing day output. Please note this is an connector/cable which do not have software. 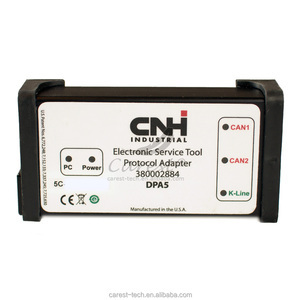 11 YRS Hangzhou Fosn Precision Tools Co., Ltd.
2 YRS Shenzhen Talentcar Electronic Ltd.
4 YRS Shenzhen Carest Technology Co., Ltd.
Support CANBUS and K-Line connections. Supported software: CNH Electronic Service Tool 7.4.0.0. 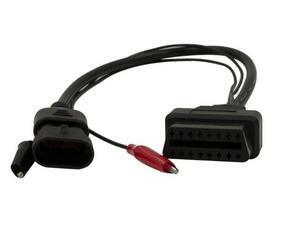 CNH DPA5 vehicle diagnostic included Dearborn Protocol Adapter 5, USB cable, 9-pin cable. 4 YRS Shenzhen JIUSHU Technology Co., Ltd.
9 YRS Shenzhen Fcar Technology Co., Ltd. It is the version 1.5 Bluetooth connection, no Batteries, Cables, or Switches. Features: Read diagnostic trouble codes, both generic and manufacturer-specific , and display their meaning (over 3000 generic code definitions in the database). Contact Person: Phoebe International QQ:2851613074 If there is anything we can do to help you, we shall be more than pleased to do so. Truck engine diagnostic tool testing machine diesel injector nozzle tester Truck engine diagnostic tool testing machine diesel injector nozzle tester is made available at best competitive prices. We are widely exporting to places like Canada, USA, Tanzania, Indonesia, Singapore, South America and Middle East. It gets the technique support from Tianjin university, Tianjin University of technology, Shandong University of science and technology, With more than 10 years export experience, and get high reputation from our customers. 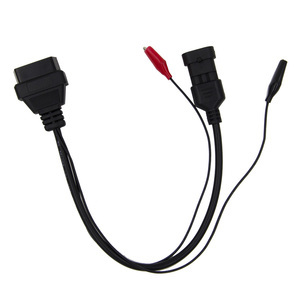 4 YRS Kunming Na Hai Technology Co., Ltd.
9 YRS Shenzhen Xtooltech Co., Ltd.
4 YRS Shenzhen Opelu Technology Co., Ltd.
9 YRS Shenzhen Tektino Co., Ltd.
CE&FCC certified, TEKTINO SA-200 Auto Diagnostic OBD Code Reader SA-200 Diagnostic scanner covering all OBD compliance car makes, it's a specific tool for all Japanese vehicles. Profitable, easy-handling and economic tool for mechanic workshops and car owners. Functions * OBD II, EOBD, CAN protocols and specific/professional diagnosis for Toyota, Nissan, Honda, Mitsubishi, Suzuki,Mazda,Subaru and Daihatsu, etc *Coverage for the latest modes 1 thru 10 *Generic &Manufacturer specific definitions built-in *02 sensor &evap system tests *2010 & Newer permanent code retrieval *View & Graph live data-up to 4 color graphs at the same time! 7 YRS Shenzhen Zeus Technology Co., Ltd. If that vehicle comes in with a problem, you can easily compare the faulty sensor and parameter readings to the good readings. But without live data, bi-directional controls and other special functions, you may not have enough information to get the problem fixed right. It comes with menu-driven navigation and one-click update, so you won&rsquo;t have to waste your time on learning how to use the scan tool. 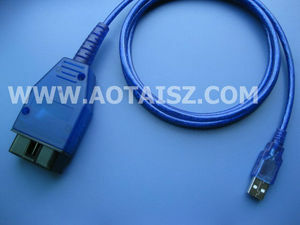 5 YRS Dongguan Andu Electronic Co., Ltd.
- Pin-out information and cable specification can be customized. 3. Payment is safe and easy, you can pay me online or others . Any questions about more items, please feel free to contact us. 3 YRS Shenzhen Lonauto Technology Co., Ltd.
Due to the facts that our model tress are very light in weight & packing may very depending on quantity of orders & destination. The company has always put product's quality on the most important position, constantly improve the after-sale service, and actively promote the development of China's auto parts manufacturing. Nothing can be 100% perfect, if there's product defects or other quality problem, we would like to replace the product or exchange it for you within 12 months warranty. 5 YRS Shenzhen Auto Creacle Technology Co., Ltd.
100% Original 2013 New Arrival LAUNCH Code Reader Creader Professional CRP123 Multi-language Diagnose four basic systems Update Via offical website Language : English,French,Spanish,Russian,German,Turkish,Arabic,Italian,Portuguese,Polish,Greek etc. ) CReader Professional 123 is a new generation of core diagnostic product for professional and individual users released by LAUNCH, a DIY diagnostic product whose development is based on DPU platform composed of chip DP431 and JV700 as core components which are independently developed and designed by LAUNCH. The main functions do not only include OBD / EOBD standard protocol diagnosis, but also cover professional diagnostic software for multiple models which can perform comprehensive diagnosis on four main ECU's (ENG\ABS\SRS\AT) of vehicle. 3 YRS Shenzhen Yantek Electronic Technology Co., Ltd.
9 YRS Shenzhen Acartool Auto Electronics Co., Ltd.
Live data: Read all the running parameters that related to the ECU. These diagnostic functions are closely related to the engine emission control. Examples are catalyst monitoring and the evaporative system monitoring. 5 YRS Shenzhen Changdashun Technology Co., Ltd.
1 YRS Suzhou Booming E-Commerce Co., Ltd.
6 YRS Shenzhen Talentcar Electronic Ltd.
6 YRS Shenzhen Autol Technology Co., Ltd.
4 YRS Foshan LHF Technology Co., Ltd.
2 YRS Shenzhen Shouer Electronic Co., Ltd.
Upgraded version of Launch easydiag x431 CRP818 diagnostic scanner Launch CRP818 is latest designed professional automotive equipment released by Launch tech, special customized for European cars ,based on Andriod system,Wifi communication, vast car model coverage, powerful test function, more special function, more accurate test data,internet remote diagnosis etc. full-system OBD diagnostic function,read &clear DTCs, read data streams,and 5 important reset functioons. For car repairing engineer,but also for car owner DIY. 1 YRS Shenzhen Hilind Technology Co., Ltd.
3 YRS Esunway (Shenzhen) Electronic Technology Co., Ltd.
3 YRS Dongguan Goochain Technology Co., Ltd.
10 YRS Hangzhou Xun Anda Electrical Co., Ltd.
2 YRS Dongguan Yaoke Instrument Equipment Co., Ltd.
7 YRS Shenzhen Setolink Electronics Co., Ltd.
5 YRS Shenzhen Yanming Technology Co., Ltd.
9 YRS Shenzhen Aut-Tech Electronic Co., Ltd.
2.You may selet the most appropriate one according to your order. If your order is very big,maybe we need you to extend the shipping time kindly. Sometimes maybe the cd was broekn on the way,we can send software to you via email. 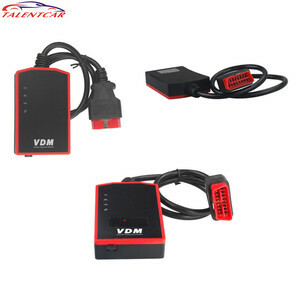 Alibaba.com offers 820 diagnostic fiat products. About 96% of these are diagnostic tools, 2% are wiring harness, and 1% are connectors. A wide variety of diagnostic fiat options are available to you, such as code reader, engine analyzer, and battery tester. You can also choose from free samples, paid samples. 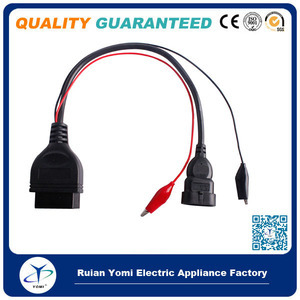 There are 820 diagnostic fiat suppliers, mainly located in Asia. The top supplying country is China (Mainland), which supply 100% of diagnostic fiat respectively. 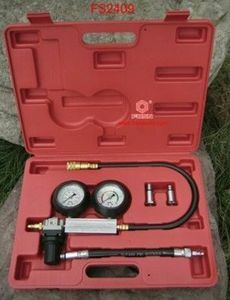 Diagnostic fiat products are most popular in North America, Domestic Market, and Oceania. You can ensure product safety by selecting from certified suppliers, including 25 with ISO9001, 20 with BSCI, and 13 with ISO/TS16949 certification.